Imagine Bristol will take place on Saturday 5th March 11am-3pm at Knowle West Media Centre. The day will bring together local people, technologists and artists; there will be lots of interactive activities, a chance to get hands on with sensors and a free lunch! You can book your free place at www.imaginebristol.eventbrite.co.uk. 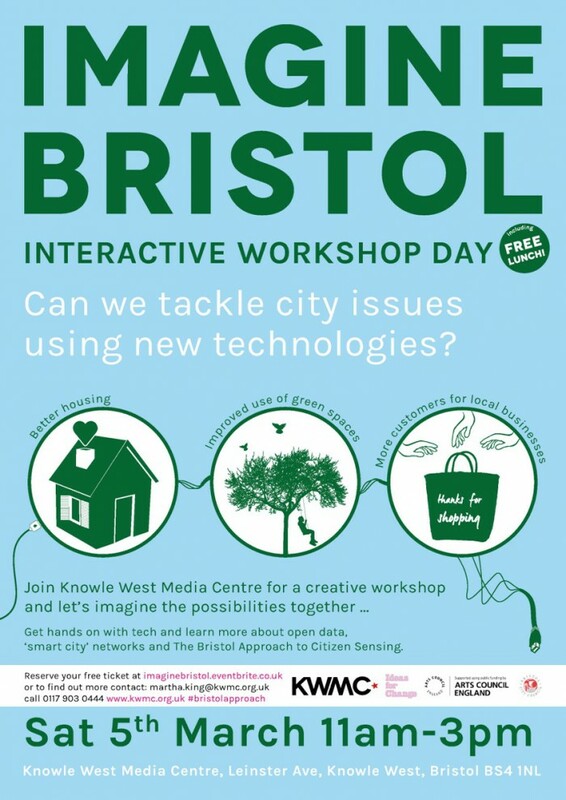 Your input on the day will be invaluable in developing new community tools using the latest sensor technologies, working within the framework of The Bristol Approach to Citizen Sensing – a project run in partnership between Knowle West Media Centre, Bristol City Council and Ideas for Change. If you have any questions please get in touch with Knowle West Media Centre on 0117 903 0444.